This property was listed by Coldwell Banker LeeAnn Rasmuson Assoc. Jose Franco procured the buyer. For similar results please contact Jose at 760-873-4161. Great opportunity for size and space at an affordable price. 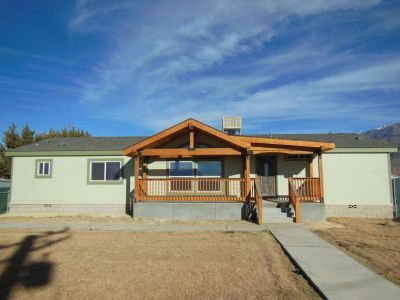 This 4 bedroom 2 bath home sits on 1/2 acre and provides room for all of the family, pets and toys. Fresh paint inside and out this home is move in ready with newer appliances and flooring. Both front and rear covered porches provide space to BBQ or drink your morning coffee. The detached garage is provides parking as well as shop space and is fully finished. Amazing Sierra and White Mountain Views from this property. Take a look today!